You are not here by accident but by the leading and guidance of the Holy Spirit. On behalf of the entire Zion Church Family, you are invited to come and worship with us anytime you are in the area. Are you seeking a word from the Lord today, for over 98 years ZMBC has shared the gospel of Jesus Christ in the Lake Como community of Fort Worth, Texas. Thanks for Visiting. Dedicated to seeking Jesus Christ and serving people! Welcome to Zion! Please join us for Sunday school beginning @ 9:15 a.m. and Sunday morning worship service begining @ 10:30 p.m.
You are welcome to join us at the Church dedicated to seeking Jesus Christ and serving people! 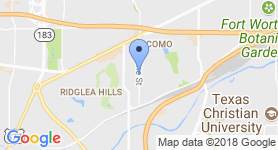 Our Church serves an important role in the Lake Como community and the city of Fort Worth. It is an unbelievably rewarding experience serving the community through church involvement and Christian Fellowship. ZBC is very active in cultivating spiritual growth and community development. The Church operates a childcare facility, offers youth enrichment activities and various other charitable endeavors. Historically, it has been at the center of religious, political, social, economic, and educational affairs. 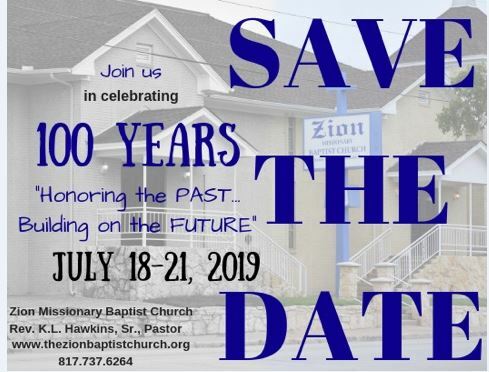 Established in 1919, the Zion Baptist Church is designated by the State of Texas Historical Commission and the City of Fort Worth as a historical site. Hold on Until the Morning from ZionMissionaryBaptist-Ft. Worth on Vimeo. by Pastor Kyra Hawkins, Sr.